An illustrative essay uses examples to show, explain, or prove a point. An illustrative essay (or exemplification essay) uses examples to show, explain, or prove a point or argument (the essay thesis). The key to a good illustrative essay is to use enough detailed and specific examples to get the point across. Examples should be carefully chosen so that they will appeal to readers and help them understand the main point of your essay. Effective examples should enhance your writing, giving your essay vitality and intensity. 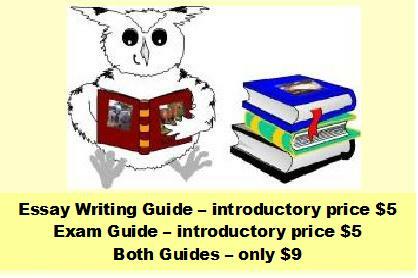 You may want to review the general essay writing section on essay research before beginning your illustrative essay. Illustrative essays may contain both brief and comprehensive examples. Brief examples may occur relatively frequently within the essay, with just enough concise details to illustrate clear-cut ideas. It is important that your writing is succinct. Comprehensive examples are used to illustrate complex ideas that can’t be adequately explained using brief examples. The examples used in your essay must be relevant, that is they must be directly to the point. You shouldn’t necessarily expend lots of ink on a particular example just because you’ve found a lot of information on it. Instead find as many examples as possible and then be choosey about what you include, using the strongest, most representative, examples. If they lead to unexpected conclusions consider altering your essay thesis in light of the new evidence. Make every example work in your favour. The examples used in your essay must also be representative. Unless you’re specifically discussing exceptions to a rule your examples must reflect the majority (i.e. what’s usually the case, or what is “on average” true). You might, for example, hear a drinker try to deny the risks of heavy drinking because he knew someone who drank every day until he was ninety. This isn’t a valid example since most people couldn’t drink a lot over an extended period without succumbing to some ill effects. The example doesn’t represent what would usually happen to most people. Similarly it wouldn’t be representative to say the summers round your way are wet simply because last year the summer was rainy. If the last several summers before this were sunny then one, or even two, rainy summers are not representative of what usually happens in the longer run.